When people learn that we frequently take 1000 mile road trips with our children, they are shocked and amazed. 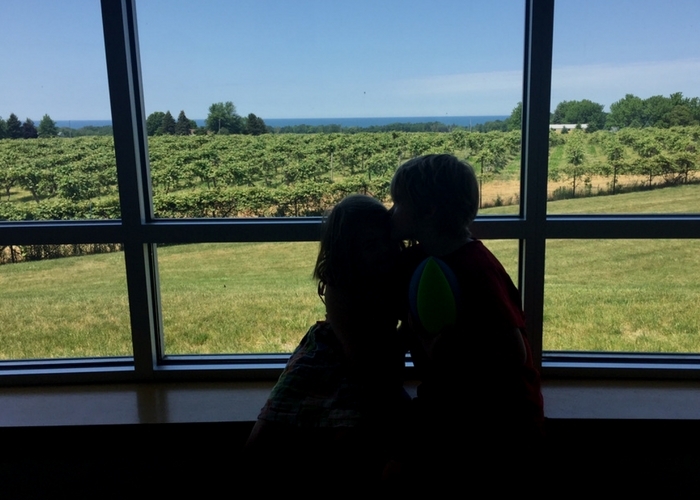 As someone who grew up with a family who frequently hit the road, I can’t imagine not giving my kids the same experience. My mom loved road trips (she passed away before I got married) and that’s something I want to pass down to my kids. Lola was just a few days old when she took her first three hour road trip to Cape Cod and Malone wasn’t even six months old when he made his first 1000 mile trip. My biggest and best piece of advice is to just put the kids in the car and go for it. Otherwise, you’ll never figure out what will work and how your kids will respond to car travel. 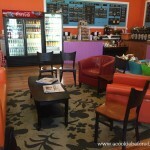 And, you will all miss the unexpected surprises that you find when you hit the road. 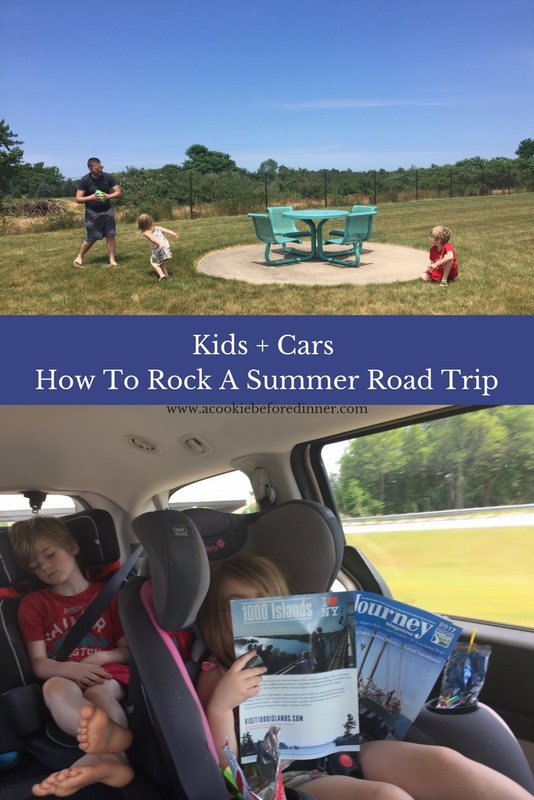 With that being said, because I have so many road trips with kids under my belt, I have picked up a few tips and tricks along the way. Don’t offer screens as a first choice for entertainment. 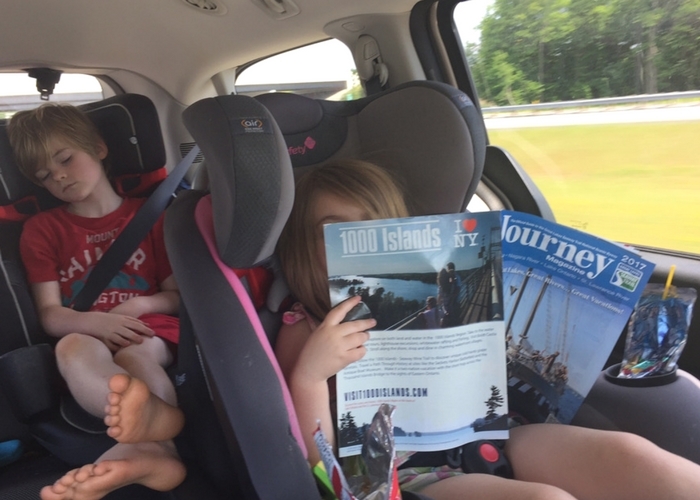 Our kids each pack a backpack full of things to keep themselves entertained in the car. Inside their backpacks are flashcards, a notebook and pen, books, their favorite stuffed animal and a few toys. We expect our kids to be able to entertain themselves with the things out of their backpack for several hours. And if they can’t, they are welcome to pass the time staring out the window watching the world go by. 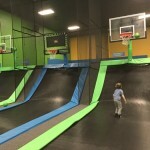 Because we’ve always held this expectation, our children can go three or four hours into a trip before they need something else to help pass the time. Pack lots of snacks and sandwiches. When we travel, we’re usually on our way to a destination and not traveling just for the sake of exploring. Time is precious and while we’re open to spending time to explore something that catches our eye, we’re not open to spending time sitting down to a meal. Most food we encounter is at rest stops, which typically over priced fast food. So, we pack lots of snacks (apples, string cheese, crackers and peanut butter and jelly sandwiches are family favorites) and eat in the car. 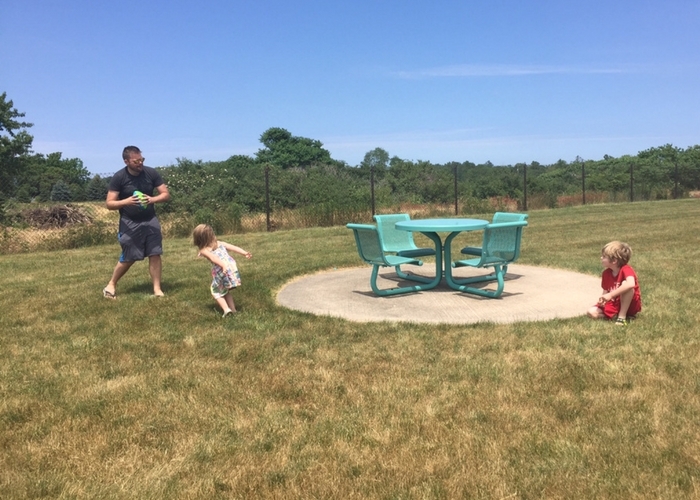 Spend time at rest stops to let the kids run their energy out. Remember when I said that we don’t stop and eat? Weil, part of the reason is that we’d rather give the kids a chance to run around. We typically spend at least 15 to 20 minutes with the kids playing tag, red light/green light or catch. 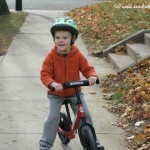 The more energy you can get out when you stop, the easier time the kids will have getting back into riding mode. A travel DVD player and headphones will be your best friend. Once we get down the road (about 500 miles or so), we put a movie on for the kids. They each have a pair of headphones so they can enjoy the movie and we can listen to the radio. Don’t be afraid to adjust your schedule if something catches your eye. One of the best parts about being on the road is that it takes you to places you’ve likely never explored before. If something is a little out of the way but still looks worthwhile (and you have time), stop. This is how we first saw Niagara Falls and fell in love with a specific brand of gummy bears. We took a tour of a gummy bear factory and I became the coolest mom ever. It’s okay to go back to training pants, if you’ve got a freshly potty trained kiddo. Lola has been potty trained for several months, but there are some things I don’t want to leave to chance, and accidents on the road is one of them. She wears a pair of training pants while we’re in the car just in case we can’t get off to stop as soon as she needs to use the bathroom. She typically keeps them dry, but better safe than sorry! 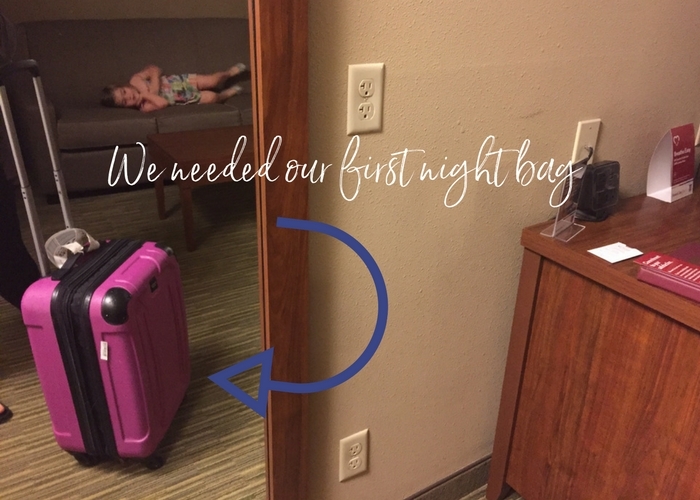 Pack a first night bag and make sure it’s easily reached. We often plan to drive our 1000 mile trip straight through (it takes us about 16 hours) but there are times when we’ve had to stop for the night at a hotel. We learned the hard way how it isn’t useful it is to have to drag our entire suitcase in for just one night. So instead, we pack a first night bag with pajamas, our toiletries and a change of clothes. This can be grabbed and brought into a hotel room. Or, if we roll into our destination late, we only have to bring that first night bag in if we’re too tired to unload everything. Speaking of bags, make sure you’ve got a car sick bag. I am sadly speaking from experience with this….. Malone once tossed his cookies while we were stuck in grid lock traffic on the New Jersey Turnpike. We had to pull off the highway to buy cleaning supplies and unload our trunk to get him a new outfit from the suitcase. 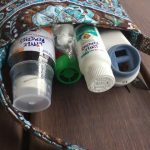 It is so much easier to just have an emergency bag available. 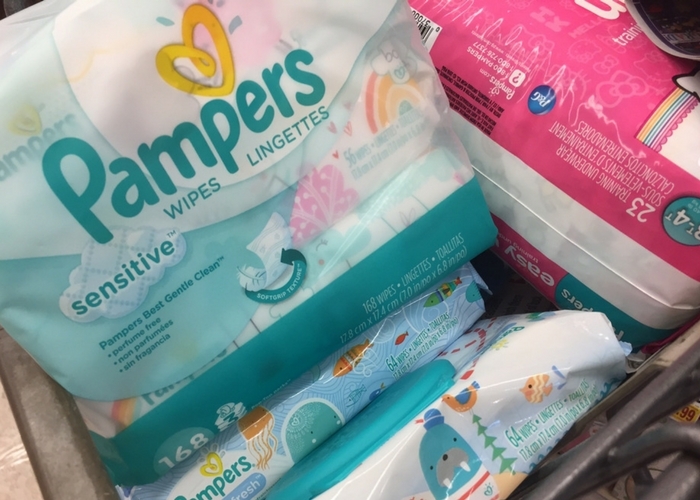 Ours includes a change of clothes for each kids, Pampers Baby Wipes, Bounty Paper Towels, Febreeze, a travel sized tooth brush and tooth paste and two plastic bags. You need two bags, one for the paper towels and baby wipes you use to clean up the car and kid, and one for the puked on clothing. Good news for you! 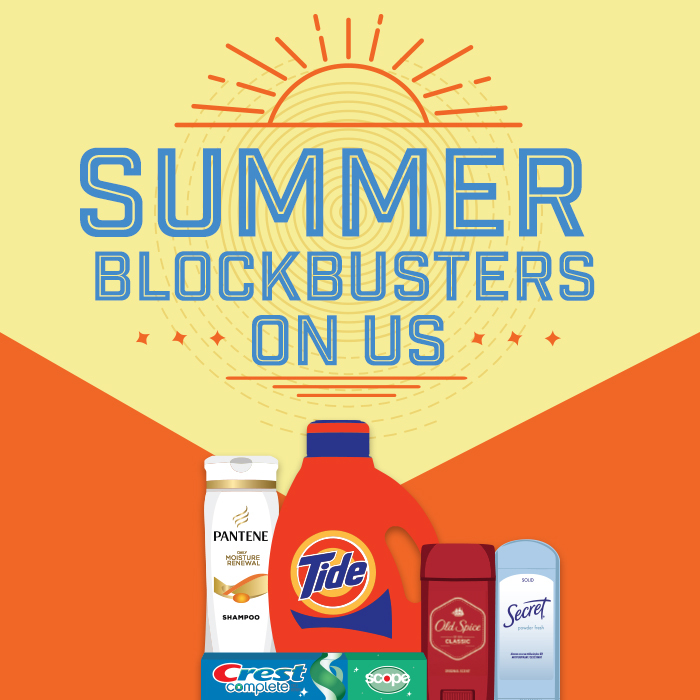 This summer, you can earn movie tickets when you stock up on your favorite P & G products at Big Y! Simply purchase $20.00 worth of products from participating P & G brands in a single transaction and you can receive two movie tickets from Fandago by mail. 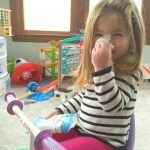 Your favorite products are participating, including the ones I listed in my car sick bag! Offer valid 6/15/17 through 6/21/17. Click here for a redemption form. Click here for more information about the P&G Summer Movie program. As I write this, I’m on one of our epic road trips. If you want to follow along in my adventures, I’m documenting them on Instagram Stories. Follow along here. In preparation for this trip, we picked up a few supplies at Big Y. It was super easy to qualify for our movie tickets because the products we use every day. I got a package of Pampers Easy Ups, Secret Deodorant and Papers Baby Wipes. Easy as pie! Wondering which theaters in Western MA are participating? Wondering which Big Y is our favorite? While we do most of our shopping at the Big Y in Northampton, by far our favorite Big Y is in Southampton. 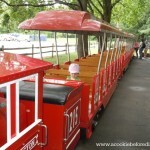 My kids are both obsessed with Little Y, the onsite childcare center that they can play at while I shop! I’m sure it will be a new kids movie I would pick to bring my daughter to. We are all caught up as of right now so whatever one comes up next. I thinking my family would love to see Cars 3! I haven’t been to a movie in almost a year, so I don’t know yet. But I do plan on taking my cousin’s children to a kid-friendly movie so she and her husband can have a date night. I think my kids would like to see Cars 3! We want to go see Wonder Woman! Wonder Woman. I’ve been sick & been wanting to go see it! I’m not sure what movie I would go see. We’d probably go see Despicable Me 3. The whole family loves that movie! WE DEFINATELY WANT TO SEE THE HOUSE AT THE MOVIES, IT LOOKS SILLY AND FUN! I plan on seeing Spider-Man : Homecoming with my movie tickets from P&G. Would like to see the new Spiderman movie. I want to see WonderWoman. I want to go see wonder woman. I would like to see The House starring Amy Poehler. The reviews sound interesting. i want to see wonder woman! I’m hoping to see The House.